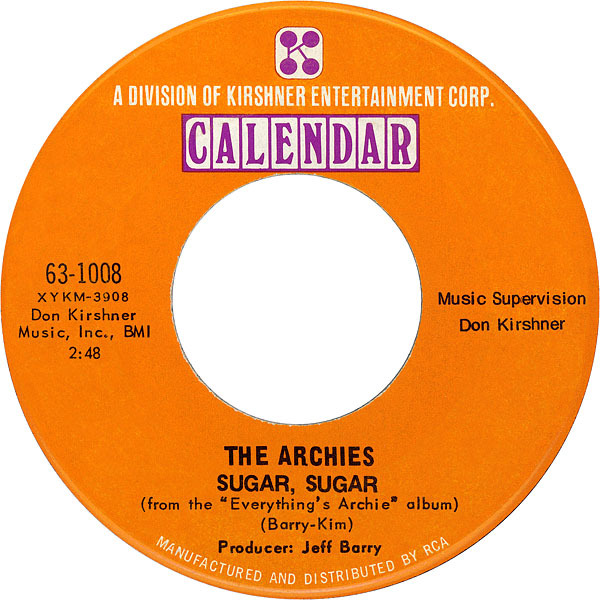 For our flashback song today, we’re dusting off the single ‘Sugar, Sugar’ by The Archies that came out alllllllll the way back in 1969! The song had massive success, reaching #1 in Canada, US, and the UK and even bumping Beatles and Elvis from the top. It was so big it was named ‘Song of the Year’ in the United States and rumour has it Neil Armonstrong and his astronaut fleet blared it during their moon landing mission Apollo 11 in 1969. Hey whatever keeps you calm! However you haven’t truly made it until you’re on the back of a breakfast cereal. Yes, the record ‘Sugar, Sugar’ was actually placed on the back of Super Sugar Crisp (seems rather fitting) as everyone loved the song and wanted to listen to it over and over again. We still do…I guess some songs are just timeless! Watching the video, you can’t help but feel how innocent and playful the ’60s were, and what a big deal it must’ve been to get a free record of the song from a cereal box.